Georgie Rowntree, Beth Reinisch and Kenzie Cooper, students at Avenue Five Institute, are first-time Art Bra Austin artists. 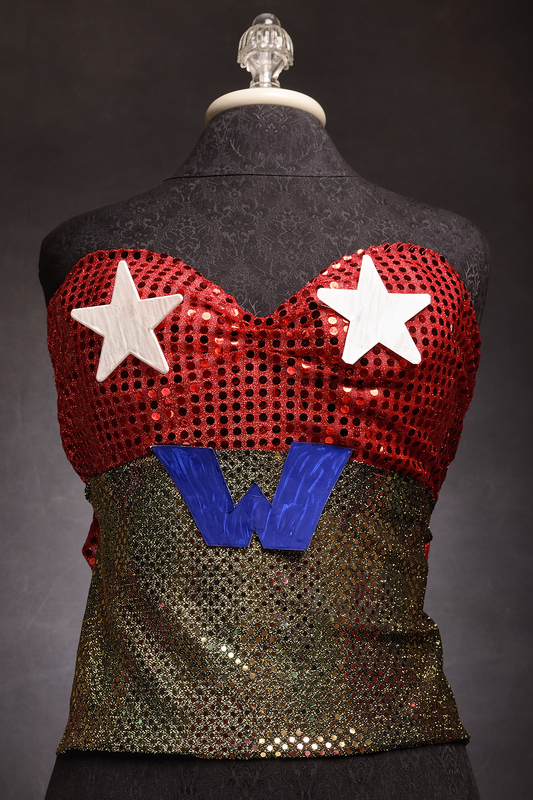 In memory of Julie Bourne, the mother of Georgie’s step-sister, their creation, “Wonder Woman,” celebrates the courage of every woman who must channel her inner superhero to overcome the evil villain, cancer. Out of something so difficult blossoms something so beautiful—a newfound confidence and outlook post-cancer. These ladies used bright colors, enhanced them with a little flash, and created a corset fitting of the modern-day Wonder Woman, the breast cancer survivor.